ALEXANDER COUNTY, NC (WBTV) - An Alexander County woman has been charged with murder in the death of her newborn child. On Tuesday morning, 4-day-old Tyler Pacheco was found unresponsive in a home in the Wittenburg Community. He had bruising about the face, and he was pronounced dead by MEDIC on scene. 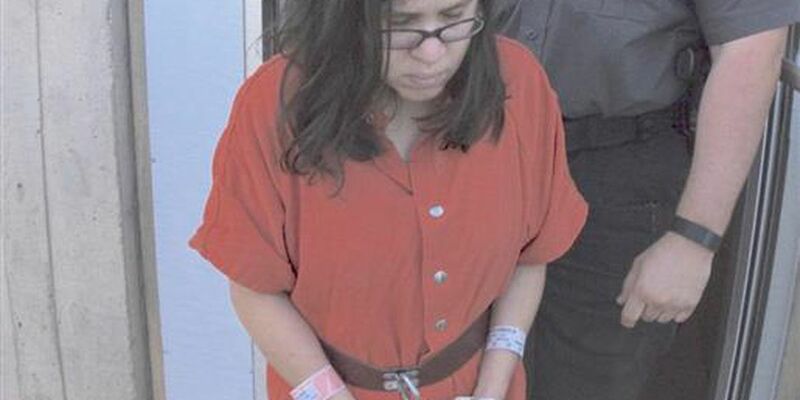 Aishia Marie Pacheco, 22, has been charged with second degree murder in the child's death. Sheriff Chris Bowman held back tears Wednesday morning as he told reporters that the mom admitted to him that she suffocated her child because the baby would not stop crying. "That she held the baby up to her chest because the baby had been crying and actually smothered the child," Bowman said. Authorities suspect the child actually died Monday evening. Pacheco was charged with second degree murder and jailed under a bond of $1 million. On her way to a first appearance in court Wednesday, Pacheco said "It was an accident," and added "I'm sorry, I didn't mean to do it." An autopsy is expected late Wednesday and investigators are still looking into the case. Sheriff Bowman calls it a tragedy. "There are lots of individuals out there that is begging for a child that can't have children." He added, "It's just a crying shame that something like this had to happen."